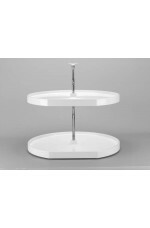 For maximum space utilization in diagonal wall and base cabinets, these two shelf D-Shape Lazy Susan..
Go from install to ready to use in just moments with our most economical polymer D-Shape tray and .. 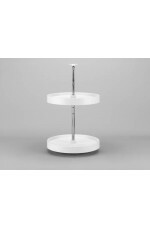 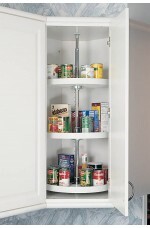 These pantry sets include five polymer D-shaped shelves with an independent rotating system. 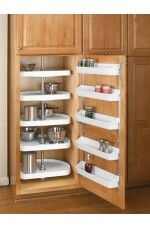 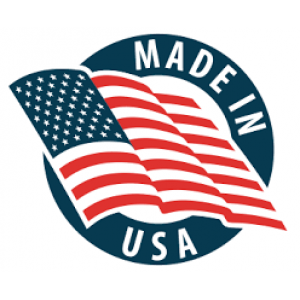 The ..
Go from install to ready to use in just moments with our most economical polymer tray and hardware..
For maximum space utilization in wall and base cabinets, Rev-A-Shelf offers polymer Lazy Susans wi.. 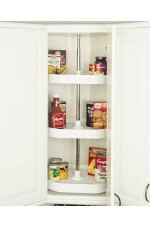 The 6072 Series is a two shelf independently rotating set, featuring our 1" chrome plated shaft sy.. 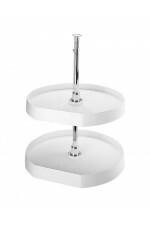 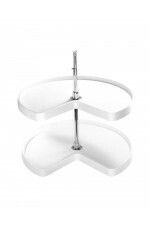 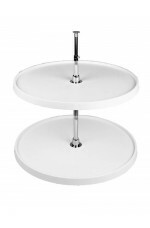 The 6472 Series is a two shelf independently rotating set, featuring our 1" chrome plated shaft sy..